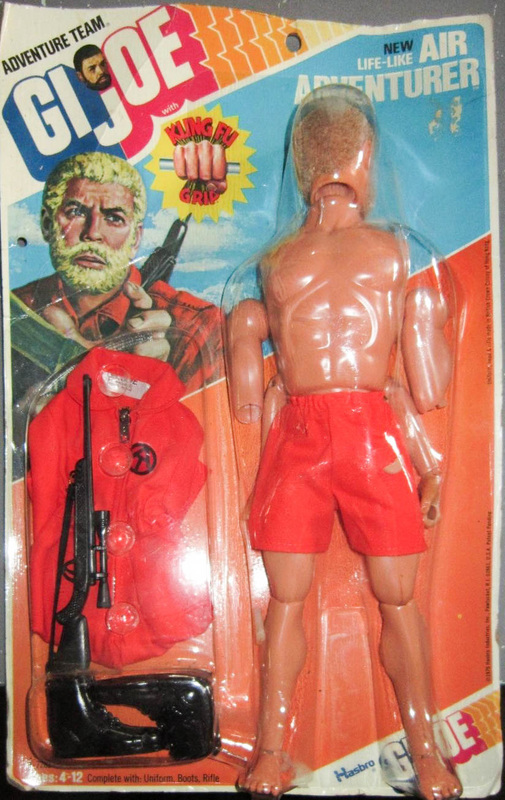 The 1976 Life-Like Air Adventurer (7282) was released in a complete version with orange shorts and jumpsuit, boots and a black hunting rifle with rubber strap. The jumpsuit is generally a thin synthetic material, another cost reduction at the end of the run. Image of this tough to find card comes to the site courtesy of eBay seller redmooze. See their auctions here!